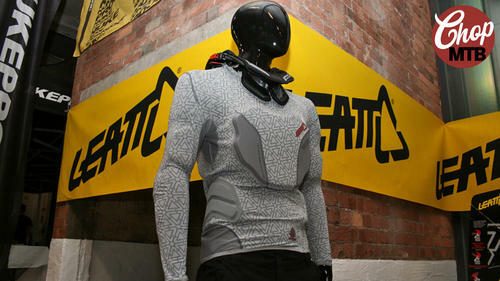 Anyone using the Leatt Potector 3DF armour? Discussion in 'Downhill & Freeride' started by ChrisRobin, Jan 14, 2013. I know it's pretty new but does anyone have it? Years ago I had a Dainese Safety jacket and bibs. Pretty awesome stuff although the Dainese upper isn't neck brace compatible and it's a little bulky. I plan on continuing using the bibs as I've never found any knee armour as good. Interested in this and the TLD one, both of which look weird and hot. TLD one looks a lot hotter though. From experience - the TLD one (I have the short sleeve) is awesome apart from one caveat, taking it off! When you are sweaty it sticks to you and getting out of it is insanely hard, I continue to use it because it is so comfy when it is on and I have no dignity so I'm happy to look like MC Hammer on crack after every ride. have you crashed in it? I ordered one and at the same time the POC VPD 2.0 Jacket to compare both and replace my old 661 Pressure suit. - shoulder pads are to small. The don`t cover much around the shoulder just protecting the side and a bit the top. These are my impressions of the jacket - hope they help. I will send it back because it didn`t fit like it should and think it won`t last too long. Thanks for the info. So from the sounds of it, the back pate moves around on you a little bit or doesn't stay close to your back? And the back plate doesn't go low enough? After looking at it, I'd be removing the shoulder pads anyway. I'm more worried about the back plate and the elbow pads. Did you find the elbow/forearm pads would slide around on on you? Because of the missing belt it slides around a bit but everybody might have a different opinion about it. 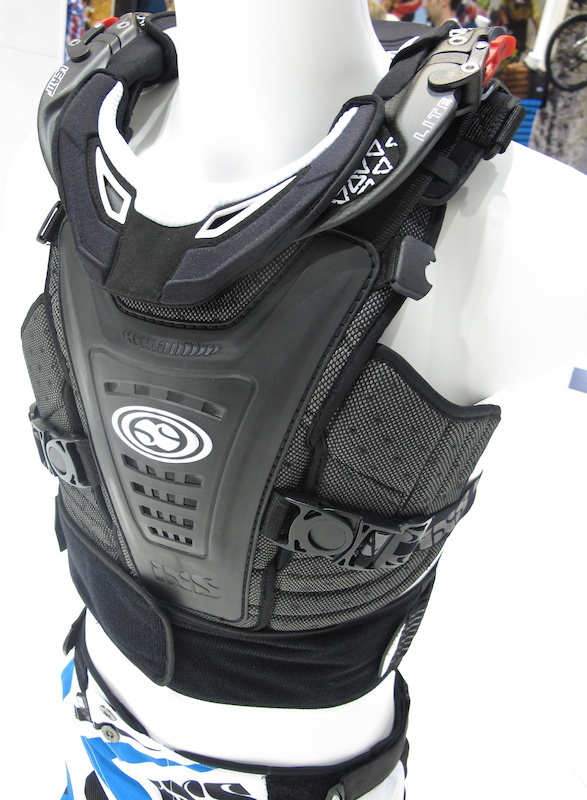 The main issue is that the back protector is to short! My lower back is completely unprotected (you can even see it on the second picture above). The elbow pads don`t absorb as much energy as the POC in my opinion (just hitting at it) and there is no strap so they can slide. They fit really good but there is no chance of fixture at forearm or elbow. A strap would have helped. it looks very lumpy, bit if it works, could be an option, eh. I'm a firm believer elbow pads that are connected to body armor are the only ones that are not going to be around your wrists after a run, so I will never buy a torso-only body armor and separate elbow pads. the poc vpd2 is very nice to tray and protect super! elbows do not move at crash and shock absorb is best!! only the back do move a bit up and down.. i think it is not the best if you use a neck brace. i do not use any neck brace. in the hottest summer time it feels not hot and never smell!! Watching at current offerings, I am still waiting for the new IXS cleaver jacket. 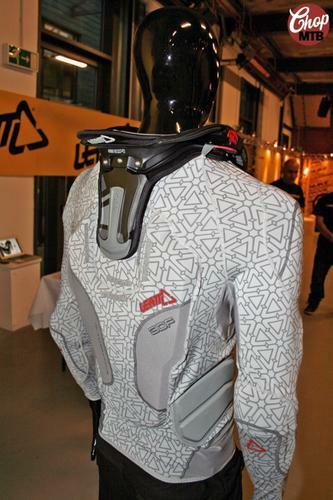 Leatt compatible, long back protector and modular. Is it just me, or anyone else has an impression, that armors covered in 100% with fabric will easily, quickly be worn out on elbows and beck, due to lack of hard protectors? Or maybe, these areas are reinforced with some tough materials, like kevlar, aramid? sethimus scroll all you want! have you tried the poc on already? i did and i found it quite heavy in comparision to the 1.0 one. Not yet; shops tend to not stock the biggest sizes, Ill have to track one down. The VPD Tee I have is pretty light IMO, I would expect the 2.0 Jacket it to be heavier with the VPD elbows, and it has more chest padding minus the hard plastic. How about the Leatt 3DF knee pads? anyone seen 'em? I'm comparing them to the POC Joint 2.0 VPD. I'm rocking the 661 sub gear with a Troy Lee CP5900 roost guard. The 661 armor def works, I've had a few pretty hard crashes landing on my shoulder and sure I've gotten marks but nothing too bad. I paid 15 bucks to a tailor and had a zipper put on. It was not originally implemented in this first generation to keep the cost down and weight. I have played around with different versions of zips to test, might see production soon. What riders like about our TLD is how customizable they are, you can remove, add to, tweak every pad around the entire garment. I have last 2 that stik linked above. The sleeveless I use for Moto. Can't even tell its there. Very comfortable and protects from roost. For dh, I where the full sleeved suit. Simply the most comfortable armor I have had. Works great with the leatt since the padding can be removed. Protection is good and yes I have tested it. A zip would absolutely make the TLD the best armour I've used. And I still cant believe how well it actually protects - I'm sure that unless you plan on landing on something sharp and pointy then it is better at reducing injury than hard shell armour of years gone by. If the next generation is easier to get out of I will probably plump for the long sleeve.